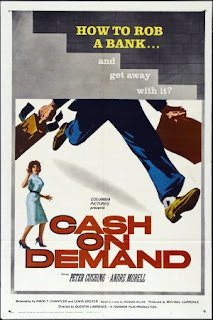 Peter Cushing stars as a bank manager duped into helping a villain rob his bank. Worth watching just to see Cushing sweating his way through the brief running time (80 minutes). Very good.